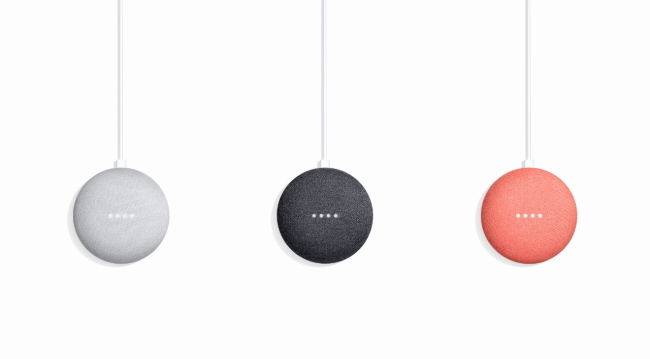 The Google Home and a smaller version known as the Google Home Mini have officially arrived in South Korea, ramping up the competition in the domestic market for voice-controlled speakers powered by artificial intelligence. Google Korea on Tuesday announced the launch of its AI speakers here and began accepting preorders via the Google Store, Hi-Mart, Auction and SSG.Com. The devices officially go on sale Sept. 18. The smart assistant can recognize as many as six voices and provide personalized answers for each speaker. It supports two languages, chosen from Korean, English, German, French, Italian, Spanish and Japanese. The speakers perform a variety of tasks on command, such as playing music and reminding users of appointments or tasks on their to-do lists. Google’s machine-learning technology has improved the accuracy of the speaker’s voice-recognition capabilities and its ability to understand complex tasks, the company said. 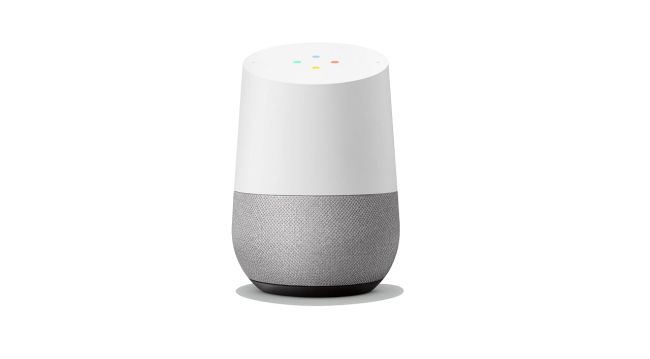 The Google Home is compatible with more than 5,000 smart-home products produced by 225 partners worldwide, the company said. In Korea, this includes LG Electronics’ voice-activated air conditioners, refrigerators and washing machines. “We are happy to be launching the Google Home and the Google Home Mini in Korea. We hope to bring Korean users more convenience with the devices’ home entertainment and smart home features,” said Mickey Kim, director of Google hardware for the Asia-Pacific region.